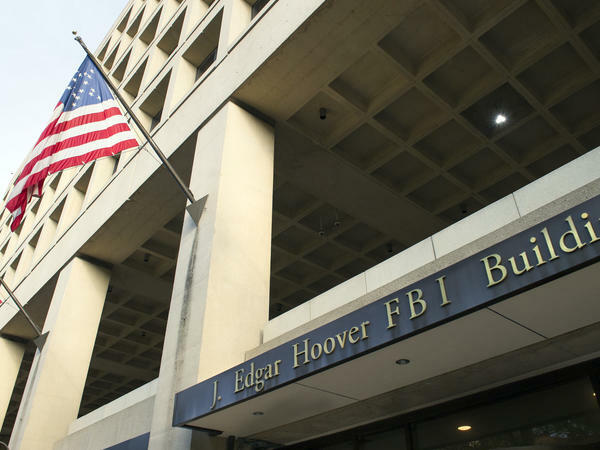 The FBI's J. Edgar Hoover Headquarters is aging and obsolete, and officials want to replace it with a more modern structure in the suburbs of Washington, D.C.
"It puts a cloud over Vornado's otherwise perfectly sensible bid," says Rep. Gerald Connolly, D-Va.
Vornado's chairman, Steven Roth, is a Trump supporter whom the president has called "one of the greatest builders in America." Trump appointed Roth to serve on his advisory council on infrastructure. "I'm honored to be involved in it. I think I can contribute. I am an adviser. I am not a line executive. I am not in any way an employee of the government. So this is something we do when asked," Roth said in a conference call with Wall Street analysts in February. He also said that infrastructure spending enjoyed bipartisan support. But Roth is more than just Trump's adviser. 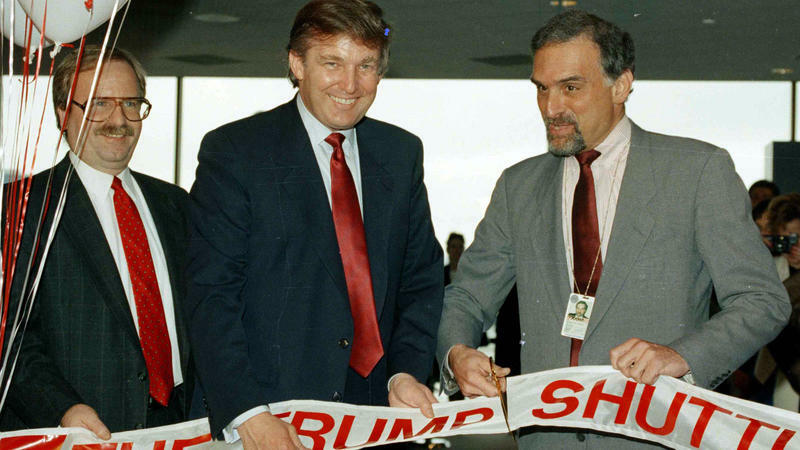 Over the years, his company has served as Trump's business partner. In the 1980s, the two were co-owners of the famed New York retailer Alexander's, which later went bankrupt. Today, Vornado, which did not return a request for comment for this story, is part owner with Trump in two major office buildings, in San Francisco and New York. The firm is also an investor in 666 Fifth Avenue, the troubled Manhattan office building owned by the family of Trump son-in-law Jared Kushner. "This is a case where the conflict is direct," Noah Bookbinder, executive director of Citizens for Responsibility and Ethics in Washington, told ABC News. The Trumps "have business ties to a company that stands to benefit from a direct decision of the administration," Bookbinder said. The FBI wants to build a safer and more modern set of buildings outside Washington. In exchange for building them, the developer who submits the winning bid will get the large Pennsylvania Avenue property where the FBI's aging, Brutalist-style headquarters is now located. The site is considered one of the most valuable in the capital, and the developer will essentially be able to do with it as the company sees fit. The winning bid is expected to be chosen by the General Services Administration, which declined to comment for this story. The president is likely to have no direct role in the decision, says Steven Kelman, professor of public management at Harvard's Kennedy School of Government. "The White House does not get involved with who should get a contract. Certainly, they're not supposed to," says Kelman, who served as a federal procurement official during the Clinton administration. But Connolly notes that the GSA has already demonstrated that it's less than willing to stand up to the president. Before the inauguration, the GSA expressed concern about Trump's Washington, D.C., hotel, which was built in a former post office building owned by the federal government. (It's coincidentally located across the street from the FBI building.) Elected officials are barred from holding the lease on the property. But shortly after Trump was sworn in, the GSA dropped its objections, a decision that surprised some observers. "That really eroded my confidence, and certainly some [other people's], in GSA's ability to be objective about this president," Connolly says. He argues that the close financial ties between Trump and Roth should disqualify Vornado from winning the bid. "We do know that he derives — or did derive — revenue from his partnership with Vornado. They co-manage buildings. They co-own buildings. They collect lease and rental fees together and share them. And that is a baked-in conflict of interest," Connolly says. The murkiness of Trump's ties to Vornado is made worse by the fact that the president hasn't released his tax returns, Connolly says. "We have to make some assumptions about potential conflicts, and I can't rule it out since he won't rule it out," he says. It would be one of the Washington area's biggest construction projects in years. The FBI is hoping to move out of its aging headquarters and into a safer, more modern campus somewhere in the D.C. suburbs. One of the real estate companies in the running to build it is headed by a man who does business with President Trump. Here's NPR's Jim Zarroli. JIM ZARROLI, BYLINE: The idea behind the project is this - a developer would agree to build the FBI's new campus. In exchange, that developer would get the current site on Pennsylvania Avenue to do whatever it wanted with. Democrat Gerald Connolly is a congressman from Virginia. GERALD CONNOLLY: We're not just talking about, well, a routine real estate transaction. We're talking about the choicest property to come on the market in Washington, D.C., in a century. ZARROLI: The FBI referred questions about the project to the General Services Administration, which wouldn't comment. But it's been widely reported that one of the three finalists picked to develop the project is New-York-based Vornado Realty Trust. Vornado's chairman is Steven Roth, a supporter of the president. Roth appeared with Trump during his recent visit to Cincinnati. Trump called Roth one of the greatest builders in America and then tried to coax the publicity-shy billionaire up on stage. PRESIDENT DONALD TRUMP: Where are you guys? Come here, come here, come here. Come up here, Steve. These people aren't used to this. You know, they like to build. They don't know about this. ZARROLI: Trump has so much respect for Roth he named him to an advisory council on infrastructure. Roth talked about the post during a February conference call with Wall Street analysts. STEVEN ROTH: I'm honored to be involved in it. I think I can contribute. I am an adviser. I am not a line - I'm not a line executive. I am not in any way an employee of the government. And so this is something that we do when asked. ZARROLI: But Roth is more than an adviser to Trump. He's also a business partner. Vornado and Trump are co-owners of office buildings in New York and San Francisco. Roth described their relationship this way during the February call. ROTH: I know President Trump. I've known him for a very long time. We have had dealings together. We know each other. ZARROLI: And Vornado is also an investor in a troubled Manhattan building owned by the family of the president's son-in-law, Jared Kushner. Normally this wouldn't matter. Steven Kelman, a federal procurement official during the Clinton Administration, says big construction projects like this one are overseen by career civil servants. STEVEN KELMAN: In terms of the way the cut - the procurement system legally functions, the White House is not allowed to be involved in this. The president does not get involved. The White House does not get involved in who should get a contract. Certainly they're not supposed to. ZARROLI: But Congressman Connolly says this case is different. He says the financial ties between the president and Vornado represent a baked-in conflict of interest. CONNOLLY: And that puts a cloud over Vornado's otherwise perfectly sensible bid. ZARROLI: Connolly notes that the current site of the FBI headquarters is right across the street from Trump's Washington hotel, so the president has a big stake in what gets built there. Connolly says the whole thing is just too murky. And it's made even more so because the president won't release his tax returns. CONNOLLY: And so we have to make some assumptions about potential conflicts. And I can't rule it out since he won't rule it out. ZARROLI: And so for now, he says, Vornado needs to remove itself from the bidding process. Vornado didn't respond to a request for comment, and the Kushner company declined to comment. Jim Zarroli, NPR News. Transcript provided by NPR, Copyright NPR. 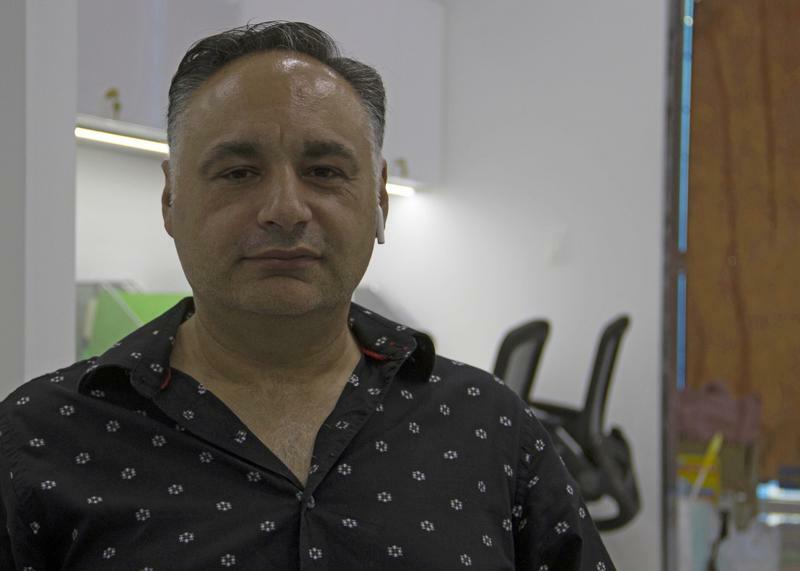 Last summer Eli Nektalov, CEO of Big International Realty, was optimistic a Trump presidency would improve US-Russia relations--and the local real estate business. Nektalov, whose company serves many Russian clients, is still waiting for President Trump to relax the sanctions imposed on Russia by the U.S. and its European allies after Moscow's failure to comply with the 2015 ceasefire agreement in Crimea. "There is not too much change," he said. "We'd been expecting, of course, much more." 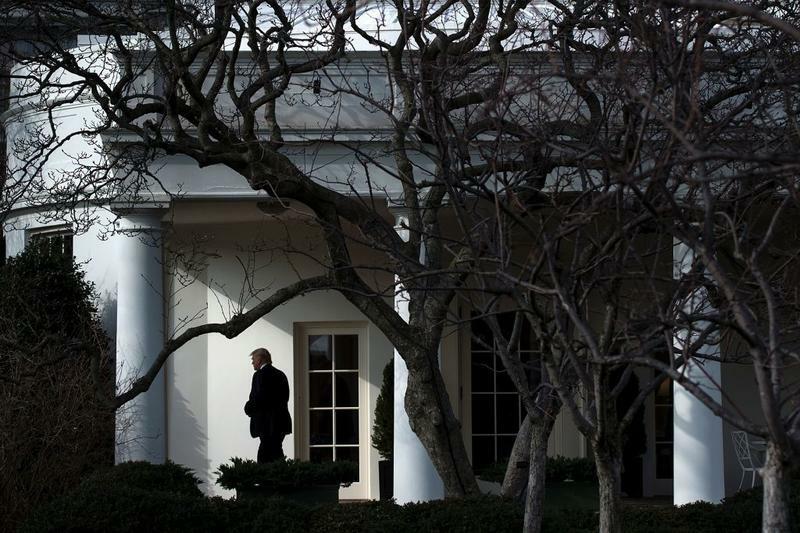 Two government watchdog groups, Citizens for Responsibility and Ethics in Washington and the National Security Archive, filed a lawsuit Thursday against President Trump and the Executive Office of the President. 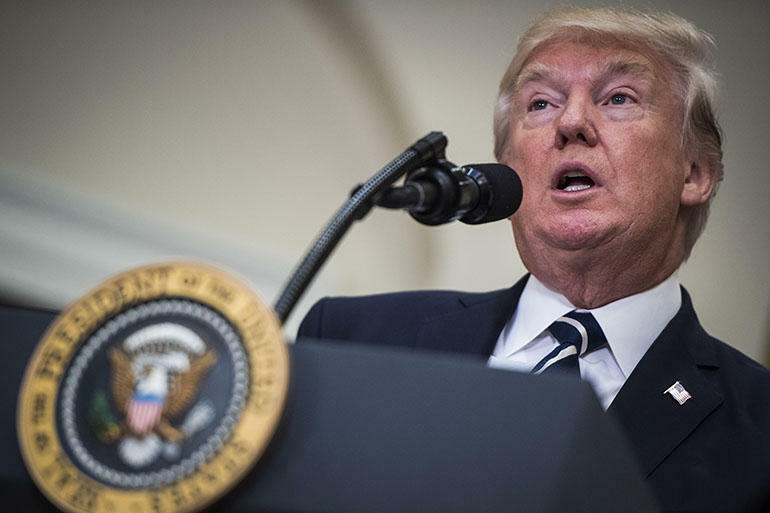 Although President Trump has had a troubled relationship with big commercial lenders over the years, financial disclosure forms filed recently suggest he is still able to borrow money when he needs it. While Trump's debts appear to be easily outweighed by his assets, government ethics experts say any sizable debt represents a potential conflict of interest for a president.